Our girls’ learning continues beyond their classrooms with our enrichment programmes, where they develop their leadership skills, teamwork and self-confidence. 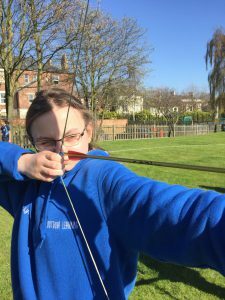 We offer a whole host of fun and engaging activities where girls take on diverse challenges, from competitive team sports to gardening, pet club and choir to fencing and orienteering. Our girls are encouraged to embrace the great outdoors. Whether as part of the curriculum or our enrichment programmes, girls of all ages take part in a variety of activities, including den building, bushcraft and scaling the heights of the climbing wall. Taking part in outdoor activities helps build character, stamina and resilience, while promoting leadership and teamwork skills. It’s also a lot of fun! There are many adventures to be had away from school too. Our wide range of trips and activities include a thriving Duke of Edinburgh’s award scheme, a newly established Exploration Society and overseas expeditions that’ll really test your daughter’s endurance with gruelling terrains like ice caps and mountains. Our trips and excursions are designed to open your daughter’s mind and expand her horizons as she develops her personal, physical and intellectual skills in different environments. From bustling cities to tranquil countryside, from local streets to international shores, it’s a big world out there and our girls thrive on exploring it. Our House system is also a big part of our community. It promotes a sense of belonging and encourages our girls to support each other and make friends in different age groups. It provides them with positive role models and leadership opportunities where they take responsibility for themselves and others. Experiential learning really helps our young girls become independent with important life skills like cooperation and communication. It is where concepts taught in the classroom come to life, giving them a deeper and richer understanding. Most importantly, it helps our girls understand and appreciate different cultures and environment, essential to building a connected community.